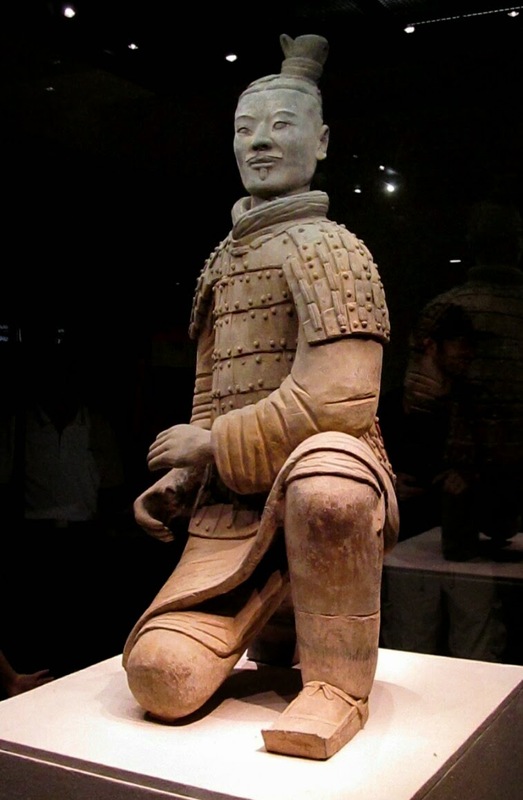 China in one blog post, a big ask, but I feel like it needs to be all together. 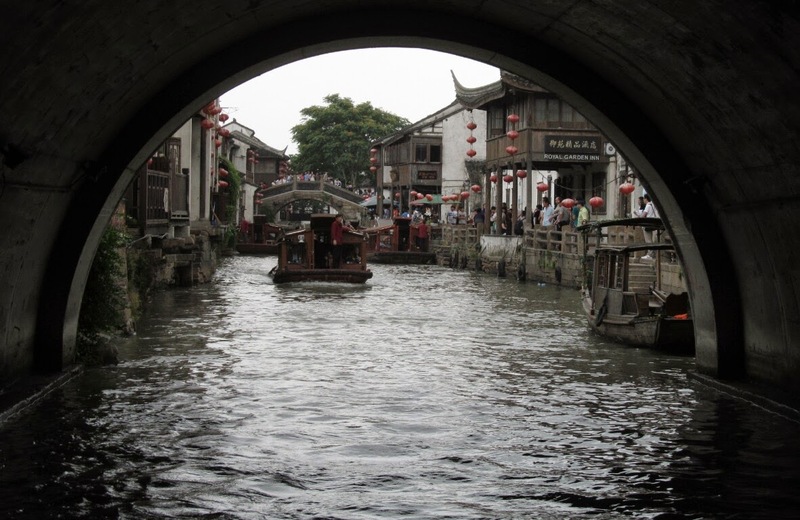 China as a country has a much more symmetrical feel about it than most other countries. Perhaps this is due to the way it is governed; it seems to have a central purpose, shared problems and a common trajectory. The first thing that struck me was the impact on my online experience. Facebook just goes round and round, my gmail is really slow and searching on Google often fails or goes to a page full of Chinese characters. Updating my blog is unavailable and I cannot access my Google docs; China must really hate Google. Also the pollution: it was everywhere we went, we only had about three good days where we could see the sun out of nearly a month of total time. 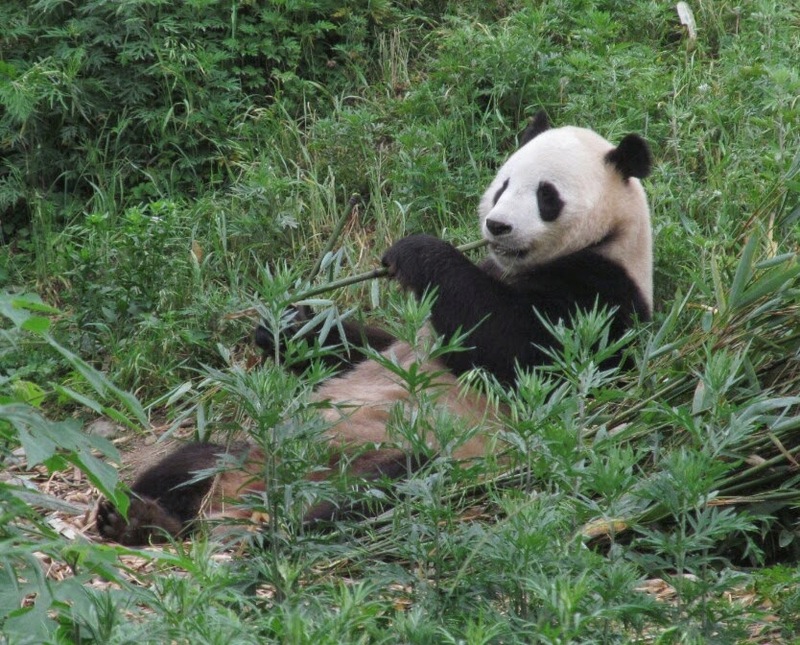 China's breakneck development has resulted in huge social and environmental problems. With an all of the above approach it is attempting to deal with these problems in negative and positive ways. I read reports it is exporting some of its pollution to Mongolia, getting them to process dirty fuel into cleaner fuel. But also lots of positive signs with a huge focus on renewable energy and limits on pollution causing actions. For instance there is a regular lottery in Beijing to decide on who can buy cars and they have recently tripled their target for solar in 2017. 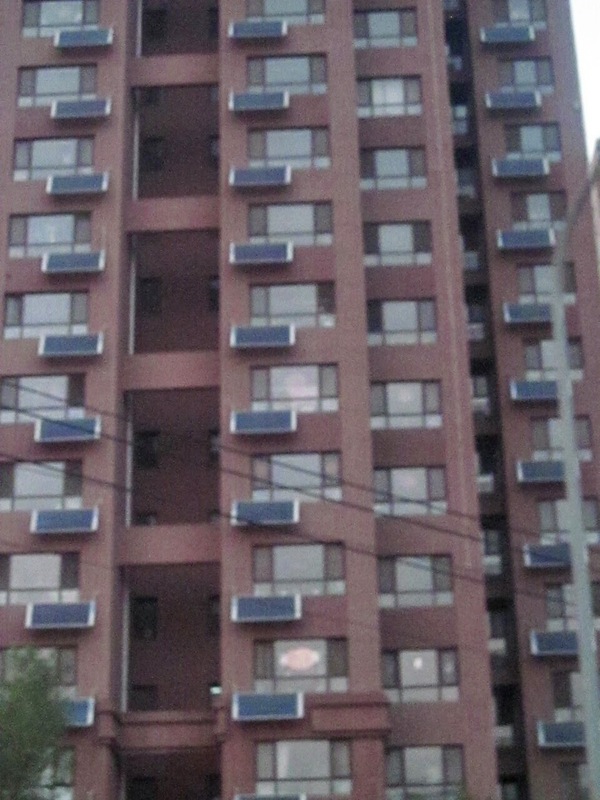 A large highrise building in the city Jinan had solar panels affixed outside each apartment. We found that China grew on us. There was a huge community feel about the place. 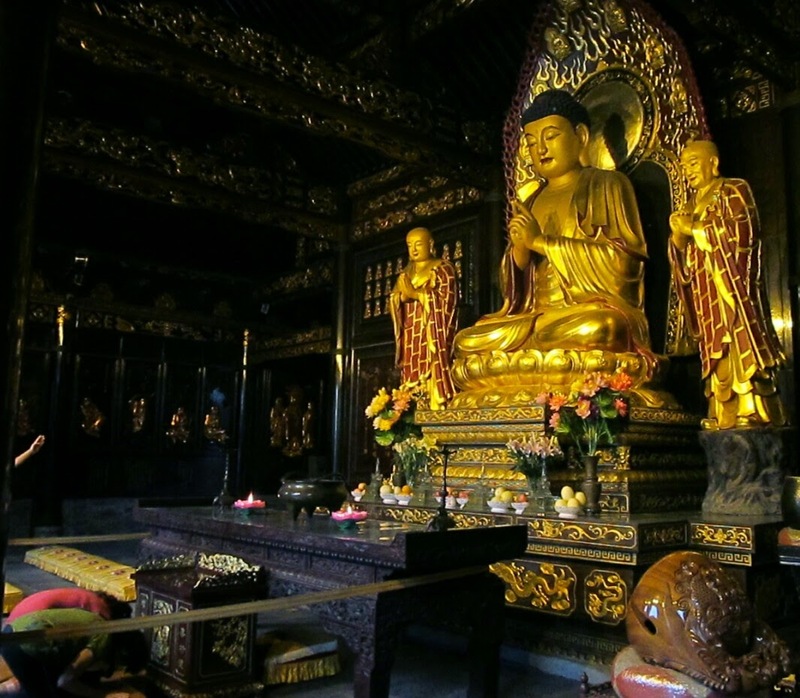 Everything seemed to occur outside in a communal setting. 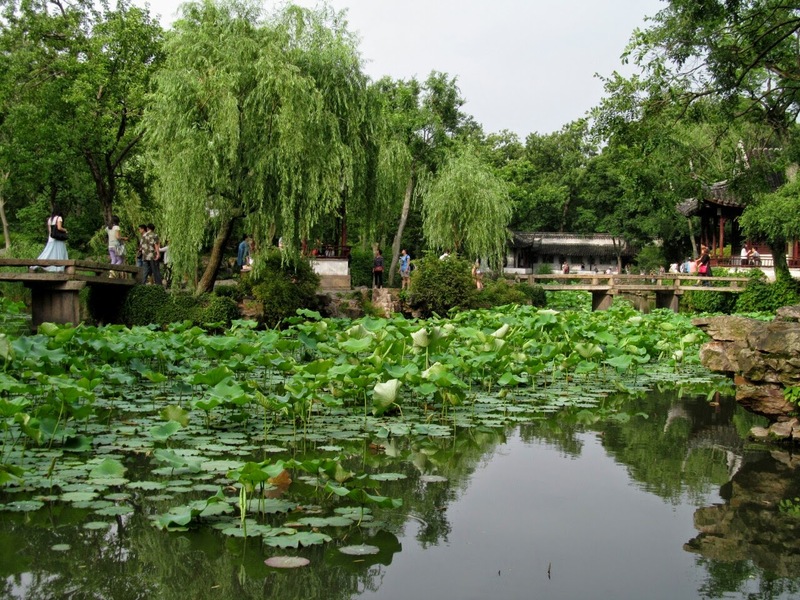 In Luoyang we went to Peony Park, a huge area teeming with activity and life. 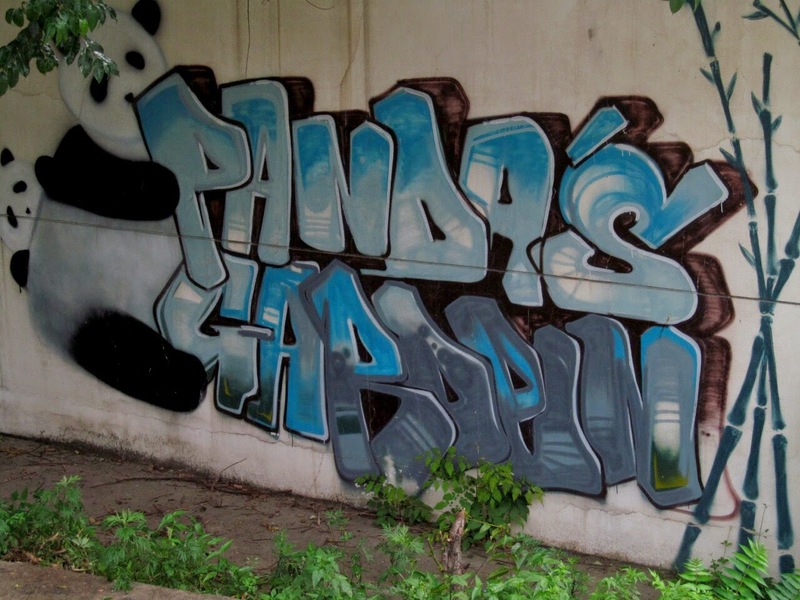 Wherever there was a spare square of area somebody was using it in a shared way. 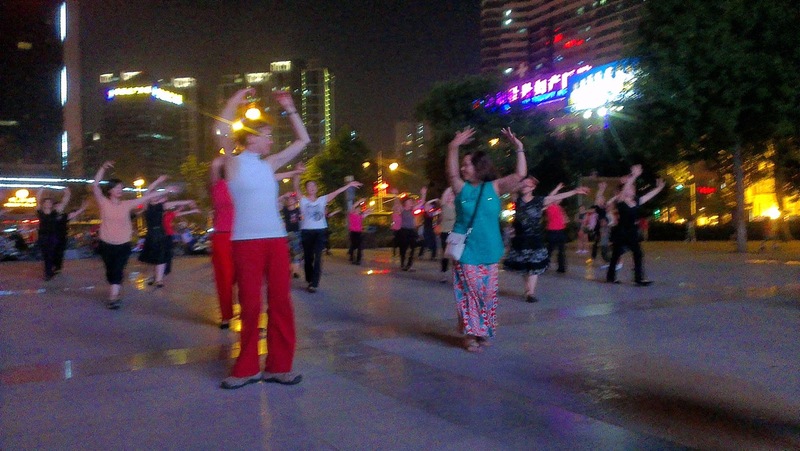 There were groups dancing ballroom, jazz, folk and more, men practising Tai Chi, people singing, sandpits and activities for children, youths playing hackeysack and lots more. It was amazing seeing so many people out in the evening playing together. 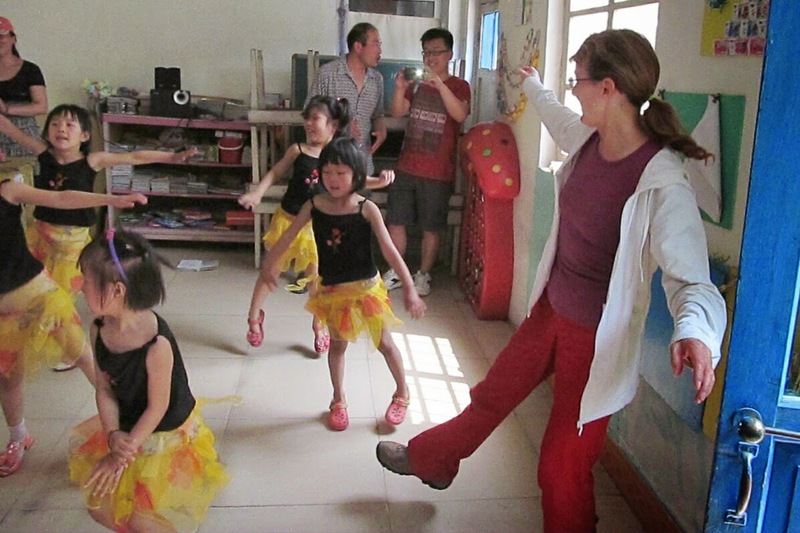 Elizabeth jumped into several dancing activities, to the delight of some locals. 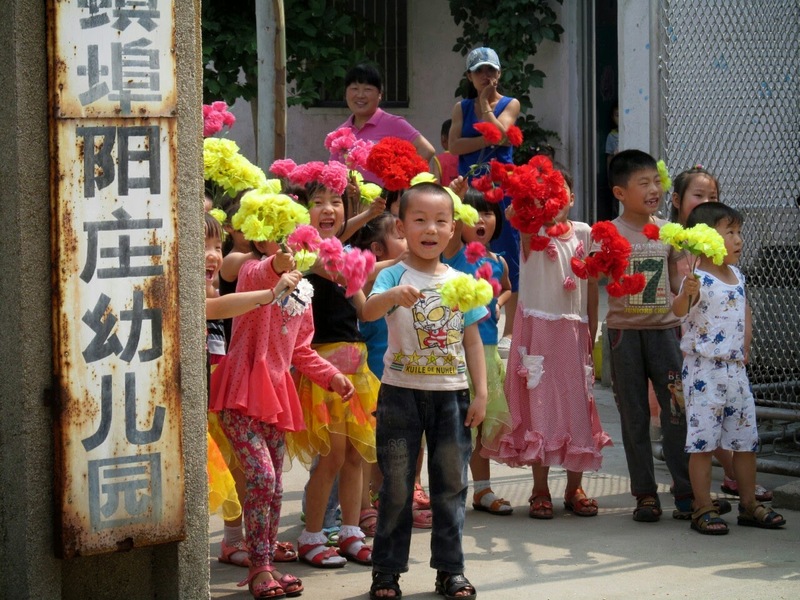 We found an equally communal environment in a local neighbourhood of Beijing, the Hai Dian district. 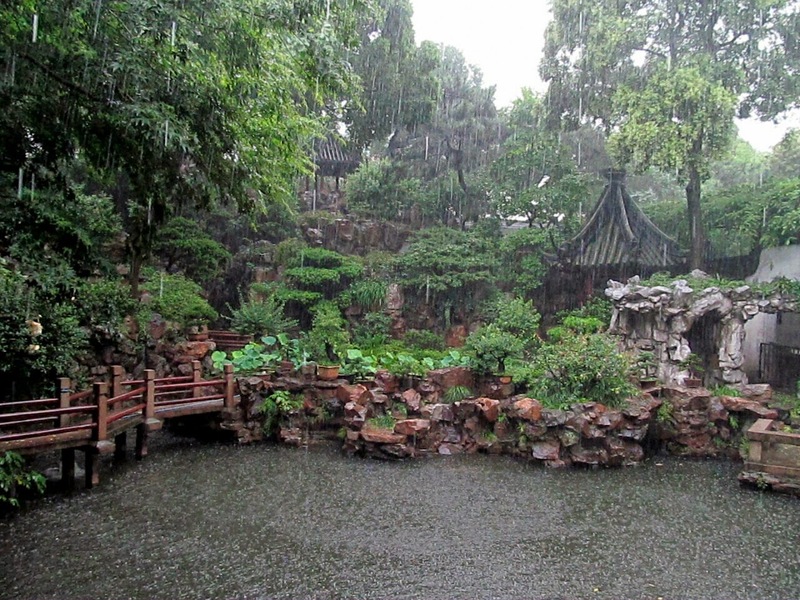 In the between times when not on tours we stayed at a cheap hotel there, the Mei Yuan. 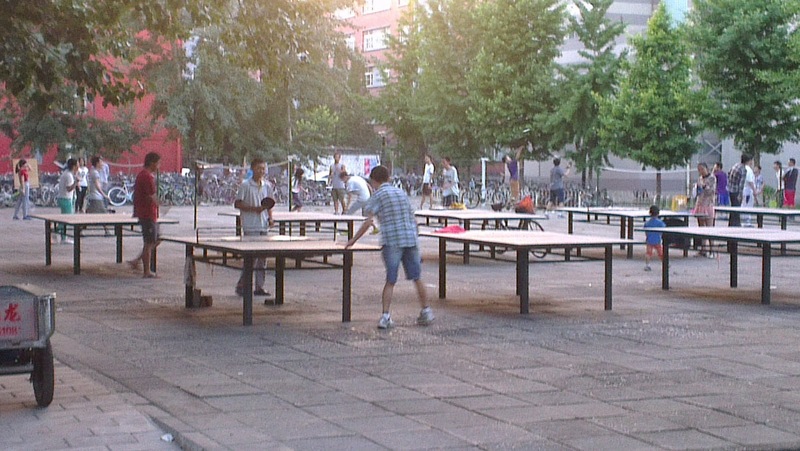 On one of our walks discovering the area we came across a park where a ballroom dancing group practised their steps and volleyball nets and table tennis tables were erected. Another amazing moment, cementing a special place in our memories, was when we visited a pre-school. A private school, with only partial funding from the government and the facilities were simple. 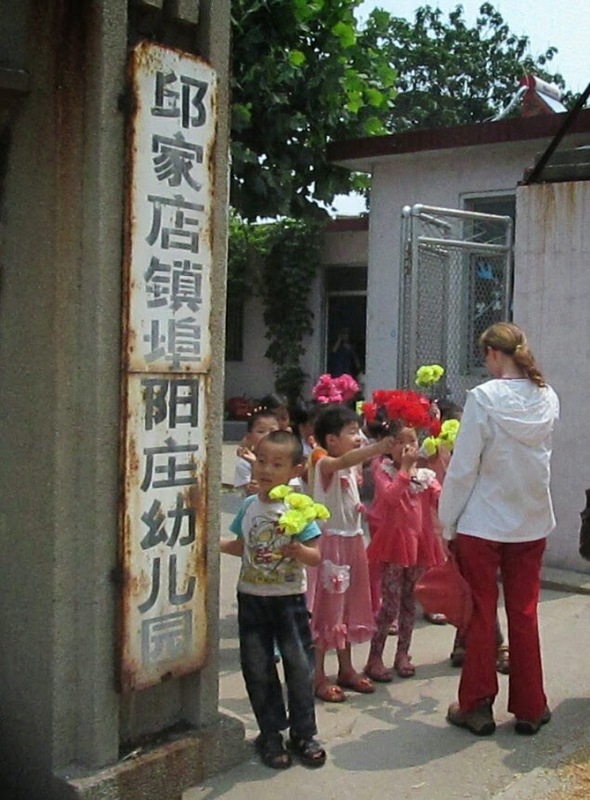 But the teachers and the children were fabulous, friendly and enthusiastic. These 2-6 year olds swarmed us, welcomed us and entertained us. These moments of our travels when spending time with and observing people are when we realize that individually people are essentially the same everywhere. 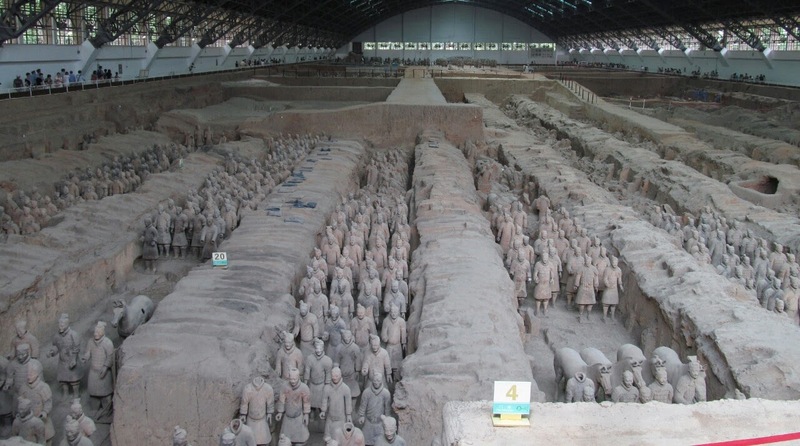 The Terracotta Warriors, more than 8,000 soldiers protecting the first emperor of China for over 2,000 years and only discovered in 1974. Mind-blowing when you think about it. Take a break guys, you deserve it. 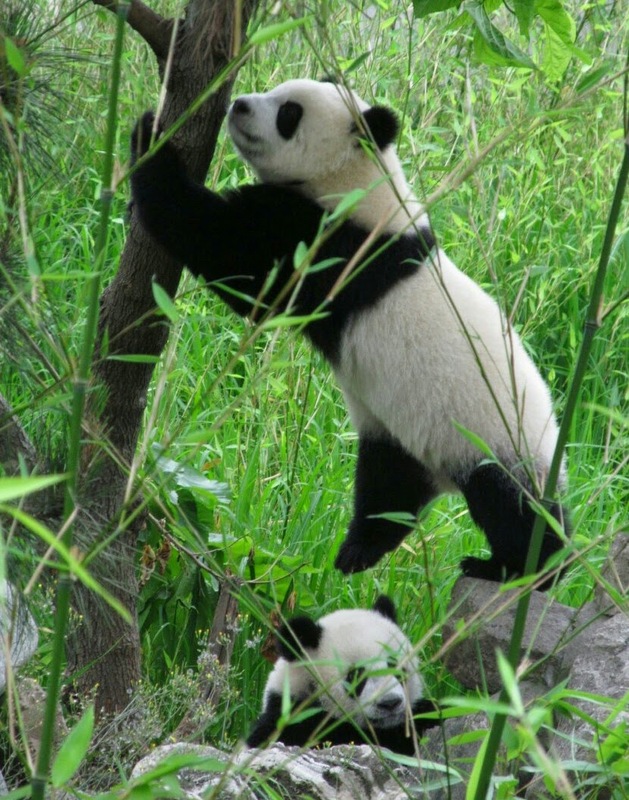 The pandas are like giant living teddy bears. They seem too cute to be real and make you laugh with their funny stumbling playful ways. Watching two little ones climbing over each other and somersaulting off branches is hilarious and was a definite highlight. 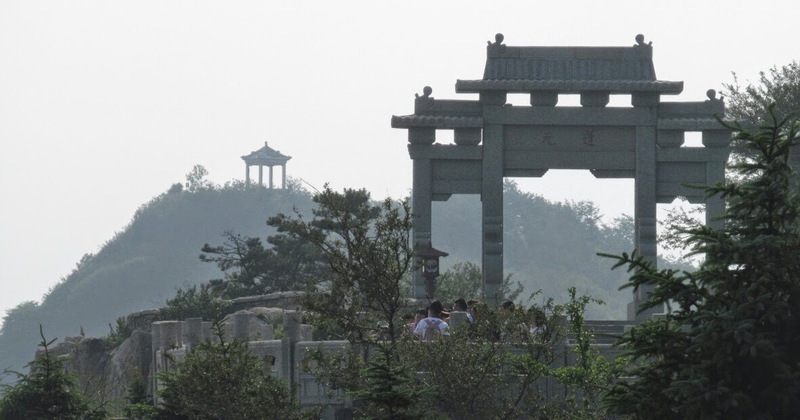 The city of Qufu, where Confucius lived and is buried in Kong Lin cemetery. 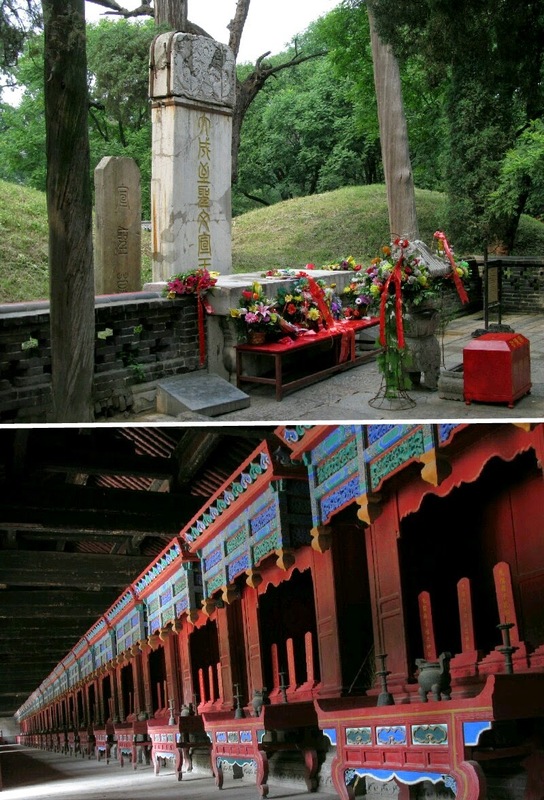 This cemetery is only for the use of descendants of Confucius (original name Kong Qiu). It was fascinating to discover how many common sayings in everyday life actually originated from Confucius. 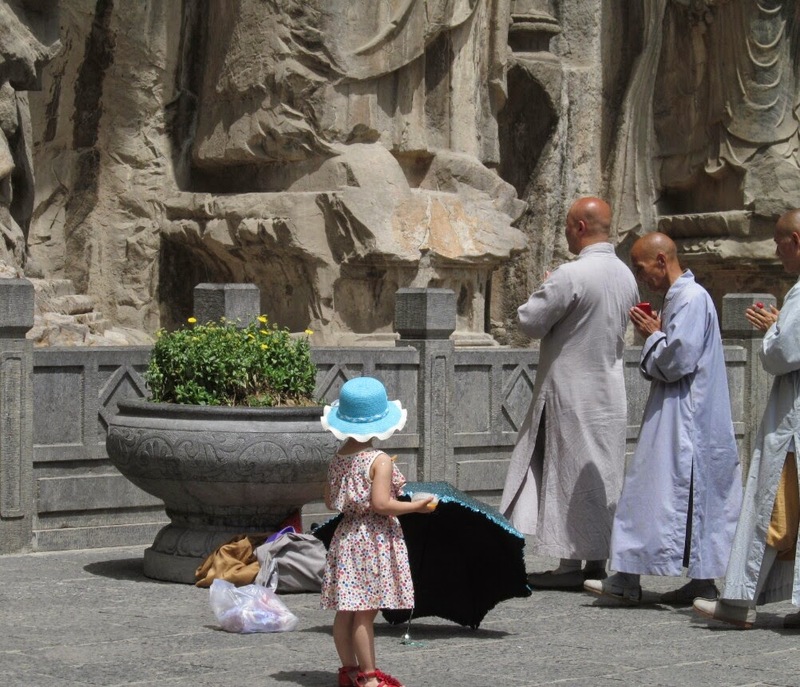 Confucius was all about lifelong learning and helping each other. He once said that heaven and the afterlife were beyond human capacity to understand, and one should therefore concentrate instead on doing the right thing in this life. Definitely words to live by. 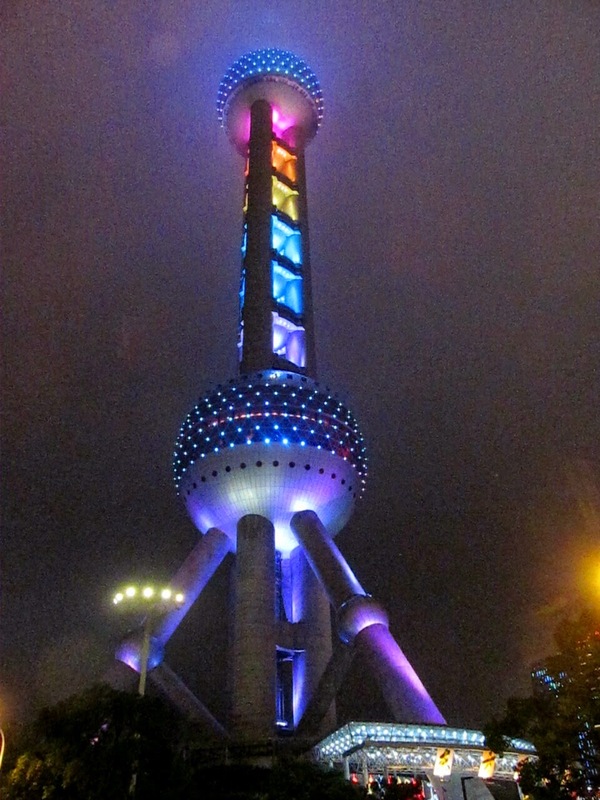 The starry, spectacular, super and sensational Shanghai exceeded our expectations. 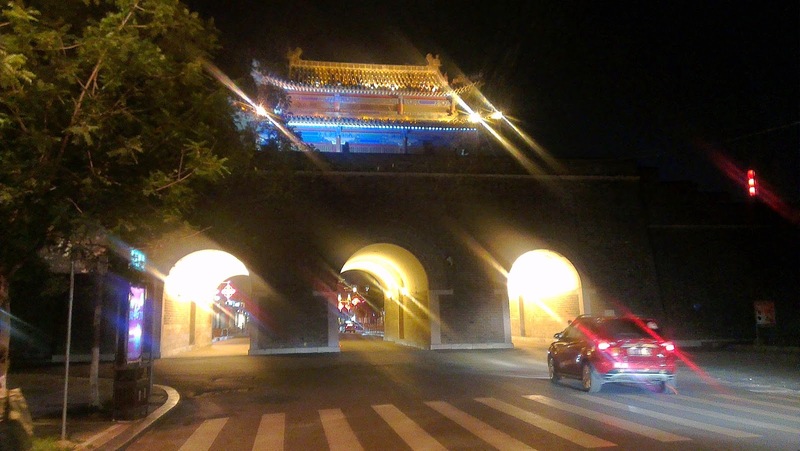 From the excitement of the dragon boat races to fabulous gardens, narrow canals and the eerie atmospheric lights of the city at night, it was a city with something for everyone. 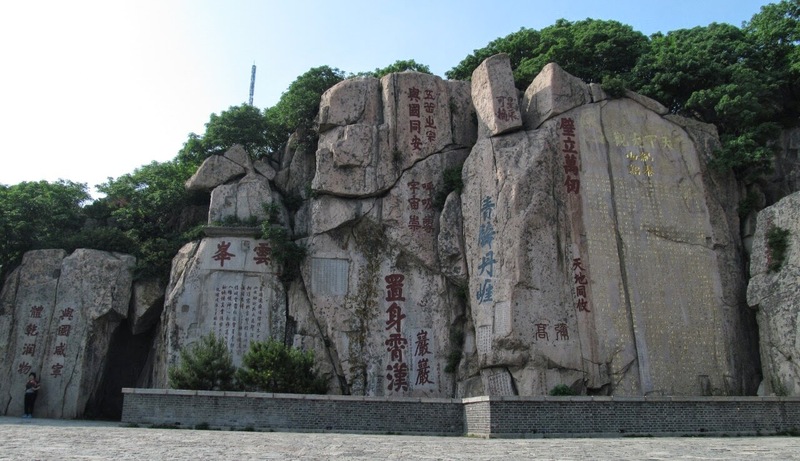 Their most sacred mountain, Mount Tai, has 22 temples, 97 ruins, 819 stone tablets, 1,018 cliff-side and stone inscriptions and 7,200 steps. 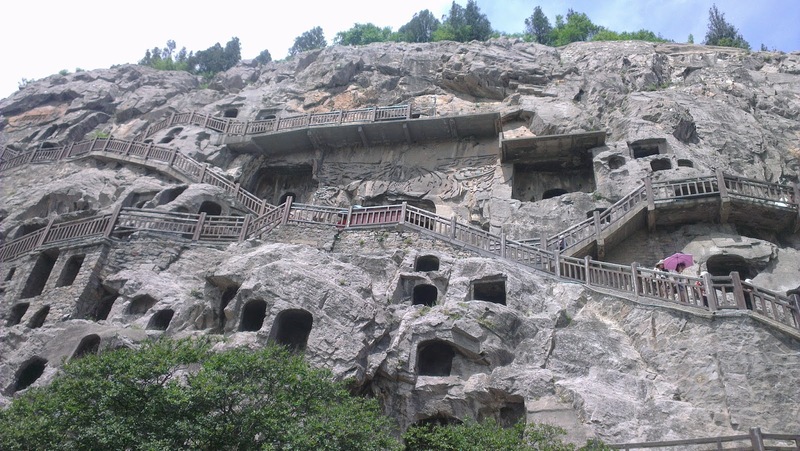 Complete with temples at the top for Taoism, Buddhism and Confucianism and a stone tablet with directions to heaven. What more could you want for all your enlightenment needs? 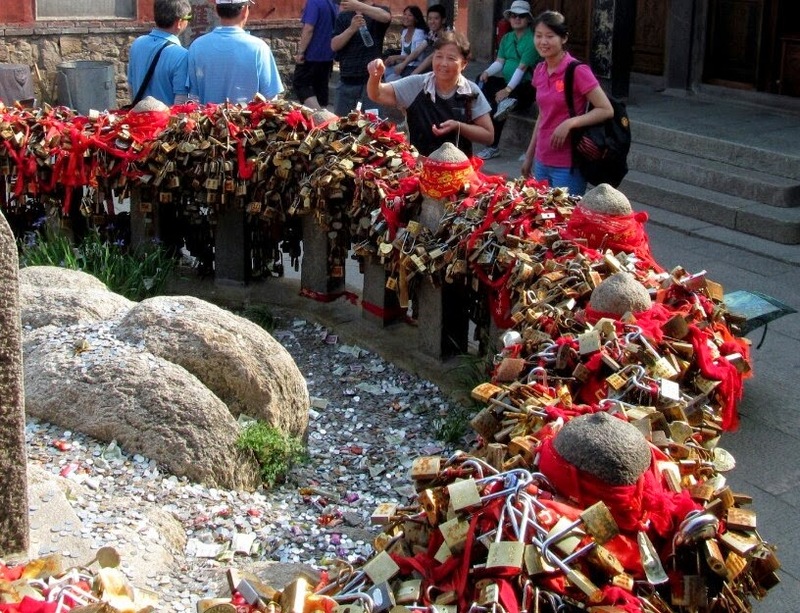 We went to the top and the Taoist temple, where we found gates covered in locks, similar to bridges in Europe where locks are representative of unbreakable love. 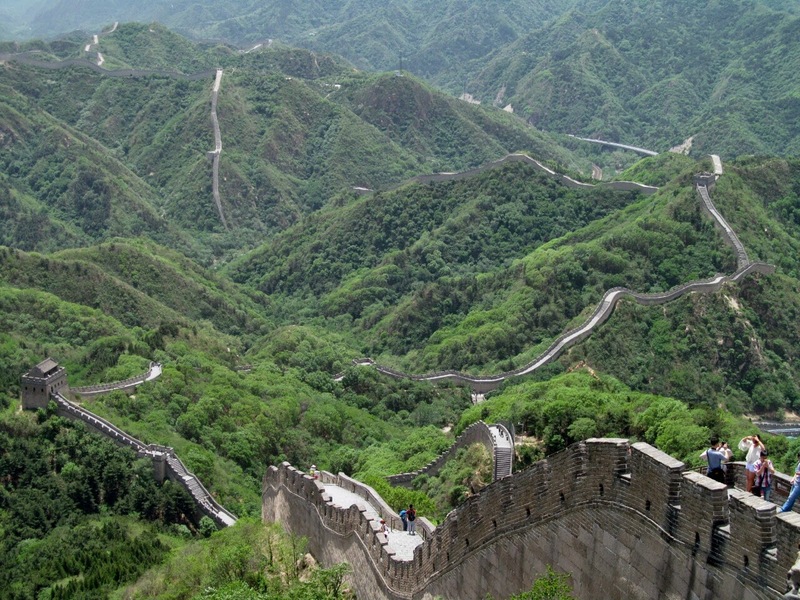 At 8,850km the Great Wall of China would stretch from one side of Australia to the other and come back again with some km left over. 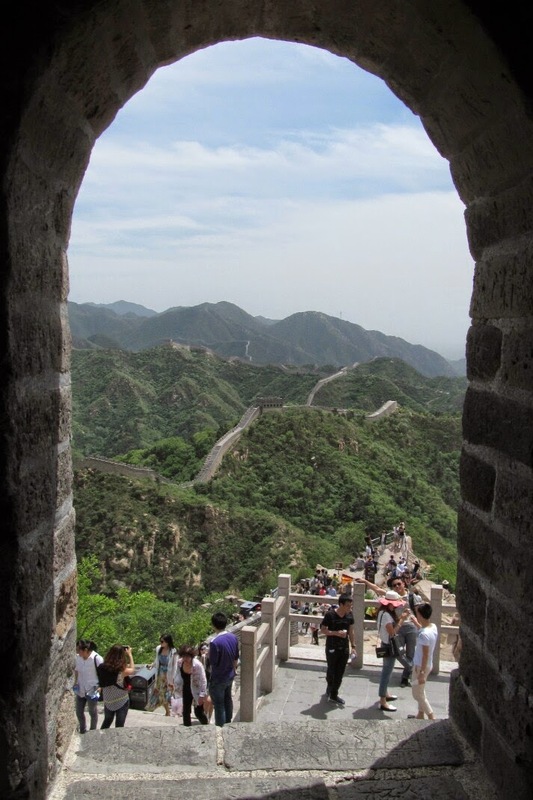 Snaking from east to west with parts over 2,000 years old the Great Wall is a slice of history that demands a trip. 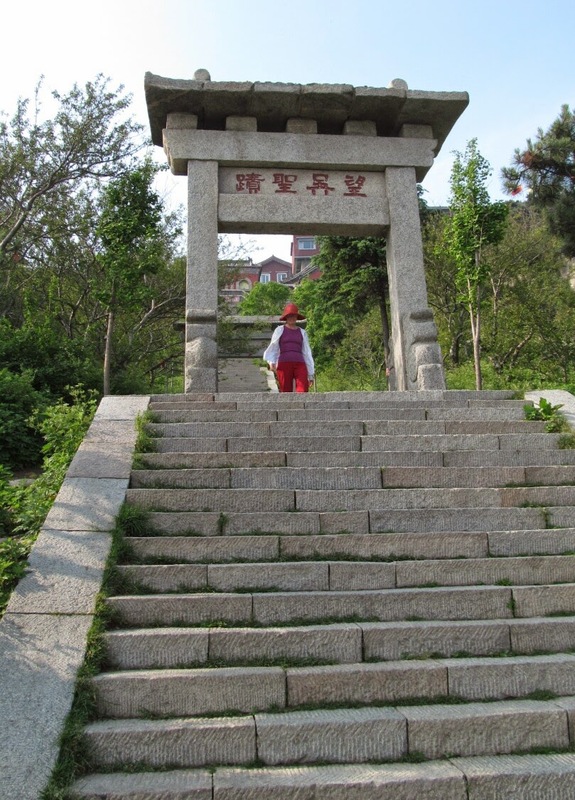 We went here twice to the same section, Badaling (where most tourists are taken), but you have a choice to go left or right. Our tip? Go right. It seems longer, more varied and slightly less steep. 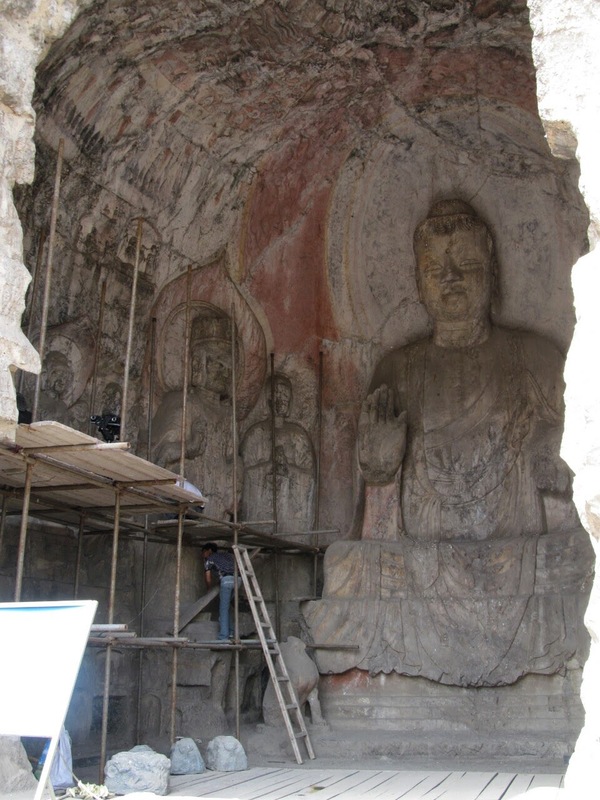 Over 2,000 caves and more than 100,000 statues of Buddha, from 25mm to 17m is the massive complex called the Longman Grottoes. 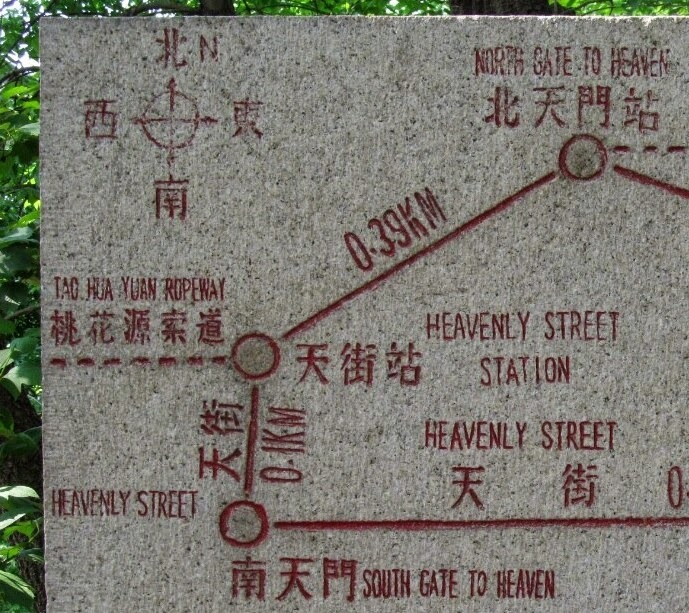 Very impressive exhibition of Man's desire for favours from the gods. 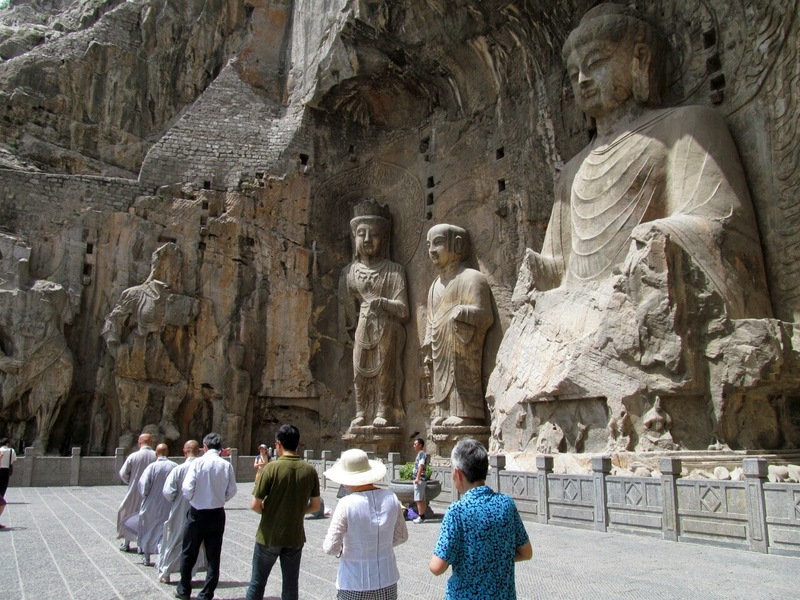 At the largest sculpture some Buddhist pilgrims were going through their ceremonies. They were very friendly and took photos with other tourists. 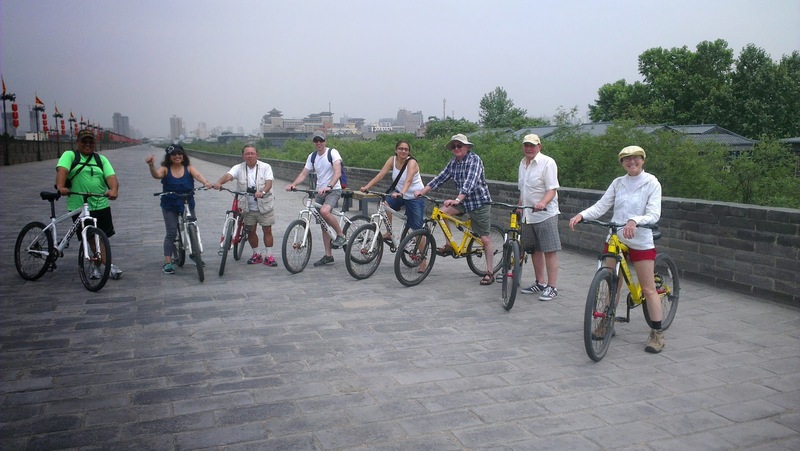 We also saw tons of temples, bucketloads of Buddhas and completed many activities such as cycling around the 13 km city wall of Xi'an, but the above were our favourites. 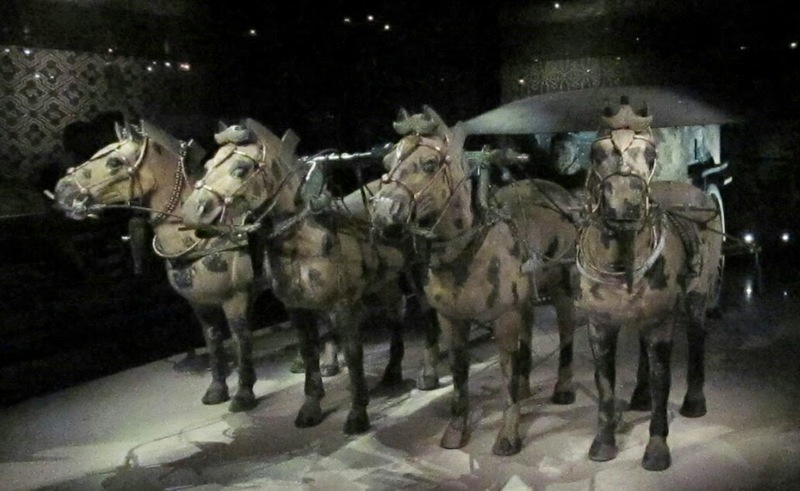 China was much more modern than we expected with a lot to offer, but you might want to wait a few years for their fight against pollution to start having an effect.